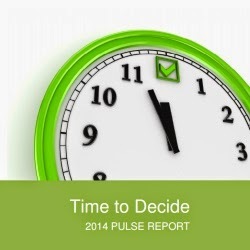 After years of resilience and creativity in the face of declining resources, shifting demographics, and changes in member expectations, the 2014 Pulse Report suggests that many Canadian-based associations have gone into a holding pattern in response to the transformative shifts in their immediate future. The 2014 version of the report is our third annual review of the association sector in Canada, and found that relatively few organizations are pro-actively addressing the key strategic and operational issues that will determine their future strength. The research was conducted from April through mid-June 2014, and received 178 responses from Canadian-based associations. We reached out to approximately 1,500 organizations, through our own association client list, and through our partnership with Advanced Solutions International, extensive exposure on social media (including Twitter and LinkedIn Group posts). Association executives are well aware of the emerging need for member-driven management and customized service. Almost half expressed strong concern about their organizations' inability to properly track or measure member engagement. We recently published the report, and released it at our 2014 Engaging Associations Summit to participants. The study is now available online. Download your copy today.